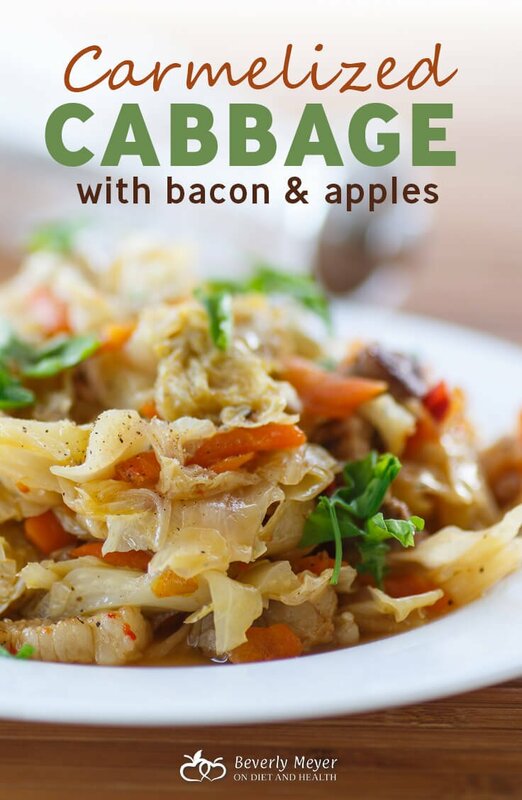 This recipe for Caramelized Cabbage with Bacon and Apples might become a new family favorite. Who knew cabbage could be so good? And easy! 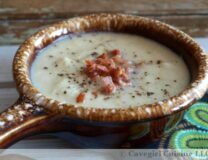 The soft sweet taste from the apple and onion combines well with the earthiness of bacon. This is pretty close to a one-dish meal with some extra meat or sausage on the side. 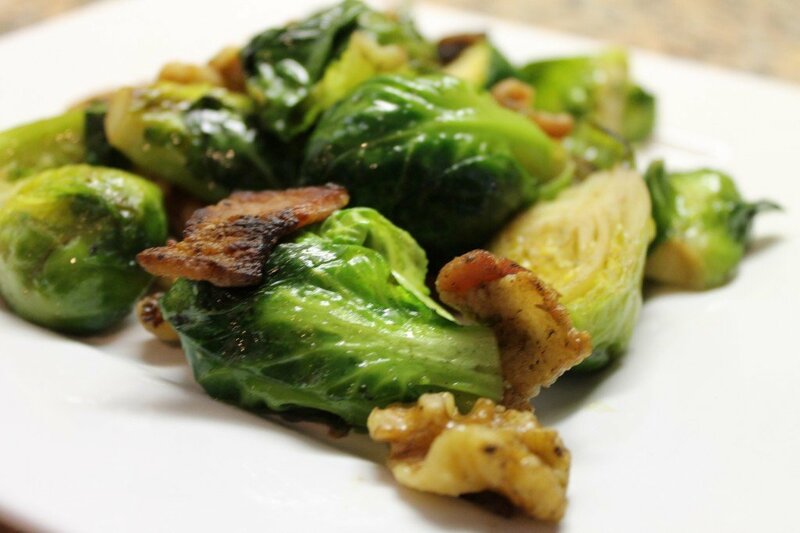 It’s also a great side dish for 4 that goes well with beef or pork. Cabbage is one of my favorite vegetables. It’s so versatile, and takes on the flavors from whatever you cook it with. Red cabbage has ten times more Beta-Carotene (the Vitamin A precursor) than green, and more Vitamin C and Vitamin K1. 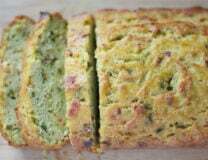 I use green cabbage in this recipe though to blend with the light colors of the onion and apple. Cabbage is a cruciferous vegetable so it’s rich in sulfur and other anti-cancer nutrients. I find it easy to digest yet some people feel cabbage is too “gassy” for them. 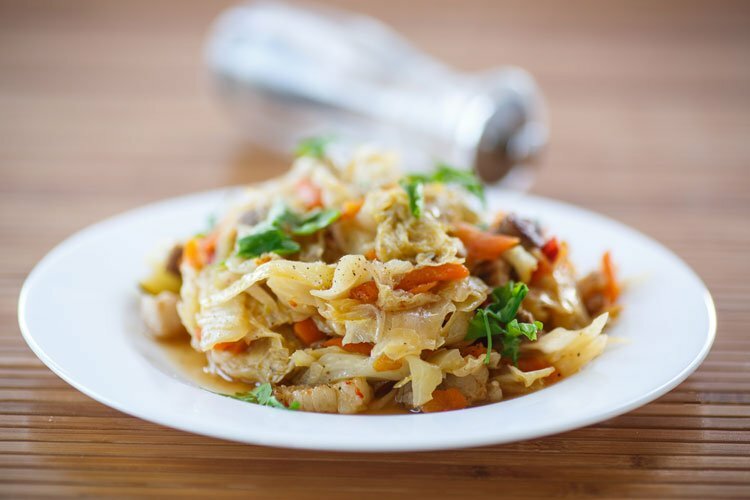 If you think cabbage doesn’t sit well with you and you haven’t eaten it in a while, try this version and see! Any excuse for bacon and bacon fat is a good thing in my kitchen and this recipe uses 4 slices of thick bacon and all of its fat. Add an extra slice of bacon if you can’t find any thick “farmer’s bacon”. Place the bacon slices in a large unheated pan. 12 inch cast iron is best. Render the fat from the bacon by cooking slowly (no higher than medium heat). Don't crisp it. While the bacon is cooking, core and peel the apple and cut into slices. Chop and slice the cabbage any way you like, removing the hard triangular core. Once the bacon has released its fat, add the vegetables and apple to the pan and cook over medium heat 10 minutes, stirring occasionally. Now turn the heat down to medium low and cook another 10 minutes until some light browning has occurred and everything has reduced down and blended well. If you don't have bacon, use 1/4 cup butter. Add it to the empty pan, heat on medium, then add the veggies and apple. Prepare the cabbage and onion ahead of time if you like, but leave the apple whole until ready to cook. You can leave the peel on the apple if you prefer, or chop it in coarse chunks instead of slices.